Heat Energy savings can be 50% to 80% less than conventional construction and design methods. A hempcrete wall has an R-15. Fire resistant properties. A rendered Hemp wall provides a 2.5 hour fire wall. Puts home building back in the hands of the owner and the community. 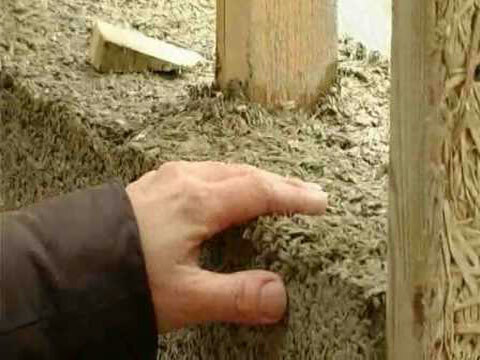 Hempcrete is simply a mixture of industrial hemp hydrated lime sand and water. Hemp walls breathe or allow moisture to pass through discouraging the growth of mould. Carbon negative because it sequesters carbon when used as a building material. Hemp building is possibly cheaper than the cheapest form of project homes– ie. brick veneer, with lower embodied energy. You can grow your own hemp and using only simple machinery, process the stalks to provide enough material to build your own house of hemp only metres away. Recent changes in law now allows for commercial hemp farms in Northern Rivers.